Welcome to Episode 29! This week’s conversation is with Gary Crowell. Gary Crowell serves as Chief Financial Officer (CFO) of Tarrant Baptist Association (TBA), in Fort Worth, Texas. He has been part of the TBA team since 2002. He is passionate about keeping churches financially and legally sound. Gary facilitates numerous consultations, coaching sessions, and conferences each year. Gary and his wife, Robbin, served with the International Mission Board (IMB) of the Southern Baptist Convention (SBC) for nineteen years in Lima, Peru. He served as business manager, treasurer, and legal representative for the Peru Baptist Mission. He was also involved in church starting and ministry to university students and professionals. Gary began his financial management career in the oil and gas industry in Houston, Texas, and was the owner of a Certified Public Accounting (CPA) practice. 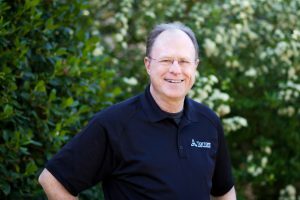 His unique blend of business experience and more than three decades of hands-on ministry leadership give him a unique perspective as he relates to professionals in all walks of life. Gary’s lives on mission by investing in others to enrich their walk with God. If you think God is leading, don’t turn a blind eye or deaf ear. Listen to people’s life story. Join me next week for Episode 30, a conversation with Anja Geilert, the founder and director of Connexxion Bonn in Bonn, Germany.